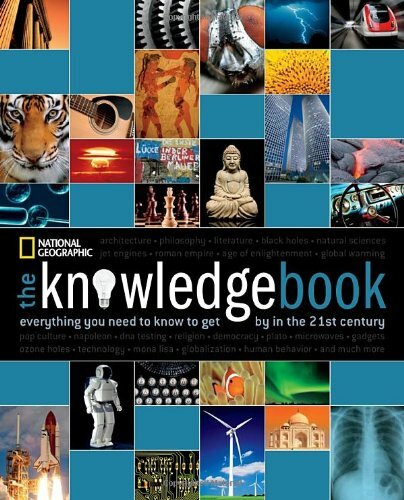 Indispensable for every home, library, and office, The Knowledge Book distills thousands of years of humankind’s most significant ideas and achievements explains how they are linked and why they are importantand packs everything into a single, irresistibly readable volume. The richly illustrated pages burst with essential facts from all major fields of knowledge: science, technology, philosophy, art, religion, economics, and more. Loaded with cross-referencing, fact boxes, and other helpful features, the book is topically organized into five sections: Earth and Space; Mathematics and the Sciences; Politics and Economics; Religion, Philosophy, and Psychology; and the Arts. An introductory spread opens each section, summarizing its biggest ideas and discoveries. Time lines and fact boxes place events in the context of history, while sidebars add interesting details on processes, inventions, and artistic techniques. Famous personalities are introduced in highlighted columns. Finally, each section ends with a notation that lists the major issues to be resolved in our day. Color-coded tabs guide readers through the book and support this innovative and accessible approach.